Scania is celebrating its recognition as the supplier of the most fuel efficient long-haul goods vehicle with annual 600 litre fuel saving. A Scania R500 has won this year’s “Green Truck Award” by a healthy margin. The German fuel test focuses on lowest fuel consumption. Scania’s new truck generation, with its updated 13-litre engine ensured that Scania took the prize. European hauliers appreciate the lowest fuel consumption, highest average speeds and lowered C02 effects that help to keep costs and environmental impacts low. 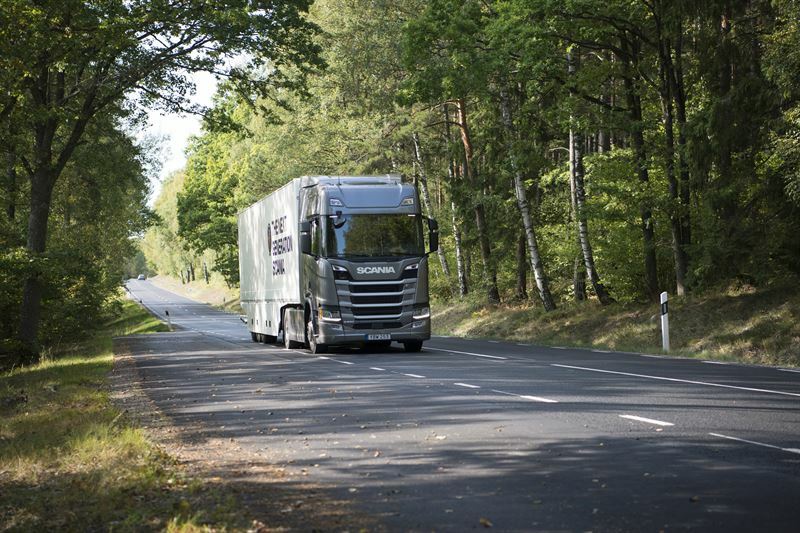 With an average fuel consumption of 24.92 litre/100 km and an average speed of 79.91 km/h on the same 350 km long test track, the difference between Scania and the next best competitor was a healthy 0.4 litre per every 100 km. Translated into a typical annual mileage for a long-distance truck of 150,000 kilometres, the difference adds up to 600 litres annually. Over the past three to four years, Scania has received praise in hundreds of press reviews. Scania has also set numerous new fuel records in many European countries in comparison tests carried out by independent trade journalists. The “Green Truck Award” is arranged by two German trade magazines, “VerkehrsRundschau” and “Trucker”. The participating trucks have a GTW of 40 tonnes and are driven under monitored conditions on public roads between Munich and Nürnberg. The fuel consumption and the average speed are strictly controlled and potential differences in weather and traffic conditions are eliminated. Low fuel consumption not only saves cost, it also corresponds with energy efficiency, reduced CO2emissions and increased sustainability.